The Royal Canadian Mint is celebrating the 30th anniversary of its iconic Silver Maple Leaf with two special versions of the bullion coin. One edition features an intricate engraving of the maple leaf intertwined with the number "30." 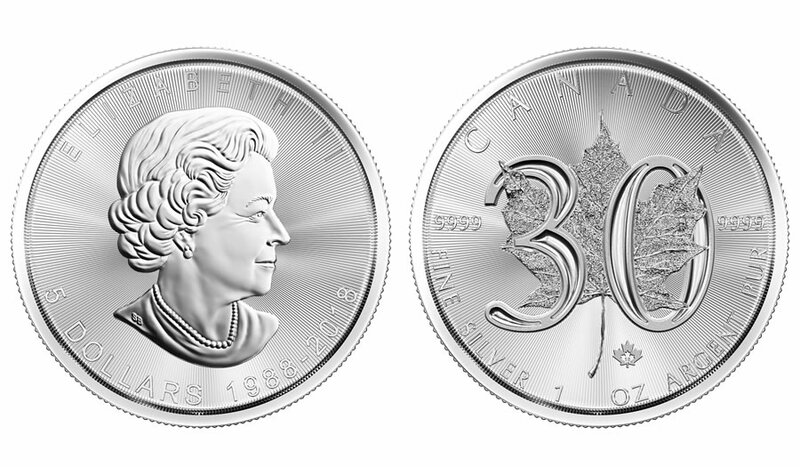 The other incorporates enhancements to both coin sides with a double-incuse engraving of the maple leaf and of Queen Elizabeth II’s effigy. The treatment is a Royal Canadian Mint first. 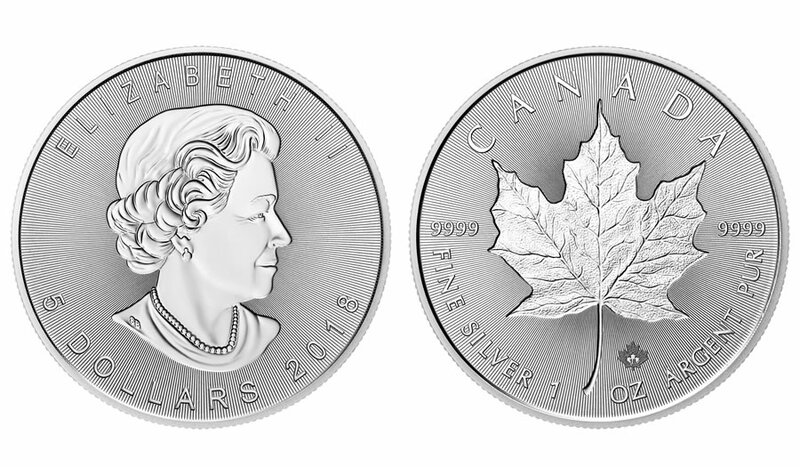 "We are proud of the market leadership the Silver Maple Leaf has achieved over the last 30 years and are excited to launch two anniversary products which embody the same qualities that have made it one of the world’s favourite silver bullion coins," said Chris Carkner, Vice-President of Sales at the Royal Canadian Mint. Both anniversary coins have an array of precisely machined radial lines and a micro-engraved security mark in the shape of a maple leaf with the number "18" to denote their year of issue. This 30th anniversary edition SML bullion coin features with a double-incuse engraving of the maple leaf and of Queen Elizabeth II’s effigy. They are offered in low mintages with options of singles and 500-coin monster boxes. 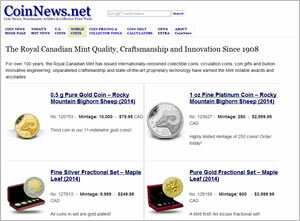 Bullion and coin dealers are now selling each edition for about $3.75 to $4.50 over spot. I ordered a few of these bad boys last night / love my Maples. The new Mint Shield advancement should instill more international confidence with the products made from 2018 and on from my RCM. I have seen pictures of milk spots on past product but as a Canadian and long term purchaser of RCM bullion – it has never happened to my coins. I don’t doubt that it has, but those days are now over. I read up on this subject somewhat extensively yesterday, and it from everything I saw it appears that the RCM has managed to eliminate this rather pesky problem once and for all. Henceforth, as there will be no more milk spots on Canadian bullion, you can continue buying and with renewed confidence to boot. Only time will tell how well Mintshield works. The info. from the RCM said that it reduces them, not that it eliminates them entirely, which is probably not possible. Also spotted bullion sells for a discount, so spotting does matter on low premium bullion too. Louis – I don’t know about resale at reputable dealers down south but up here in the great white north, they care less about, milk spots, scratches or dings. 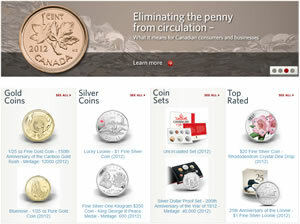 Bullion coins are bullion coins and the premiums paid at sale for a silver stack remain the same. They make their money on volume / melt / not on individual bullion coins that are shiny. Sadly I had to learn this lesson the hard during the beginning of my stacking journey. Now I buy mint sealed tubes / mini boxes to ensure that maybe they are in good shape but mostly for low volume price. If I can buy a mixed year tube – mini box of older Maples or Eagles at a lower premium I jump on that first. Better return on sale and every cent counts in volume sales. I think I will have to check both the RCM and the Perth Mint out more closely as a result of these interesting suggestions and solid recommendations of yours. Up to this point I have quite frankly just engaged in some rather cursory scanning of the assorted offerings of both of those mints, and a few other places along the way, but I haven’t as yet actually made any purchases from any of them. Perhaps, thanks to your kind and helpful encouragement, I will now begin to set about furthering the expansion of my all too long somewhat limited numismatic horizons.